Innovative and simple weed removal tool that anyone can use. Simply place Mr Weedy over the weed, press down on the pedal, twist and pull - it's as simple as that! No backache, no chemicals, fast and incredibly easy! Made to last with a powder coated steel construction and a comfy grip handle. 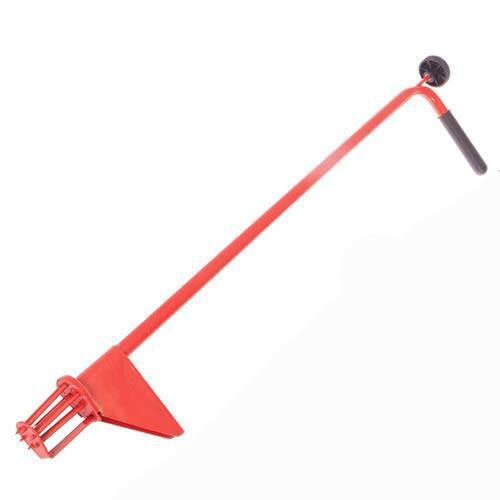 Simply place Mr Weedy over the centre of any lawn weed and press down on the pedal with your foot. As the 'spikes' enter the soil, they cleverly close up, gripping around the heart of the weed. Rotate the handle and pull and the whole things out- its as simple as that! NOW is time to weed your lawn! Supplied as one weed removal tool.